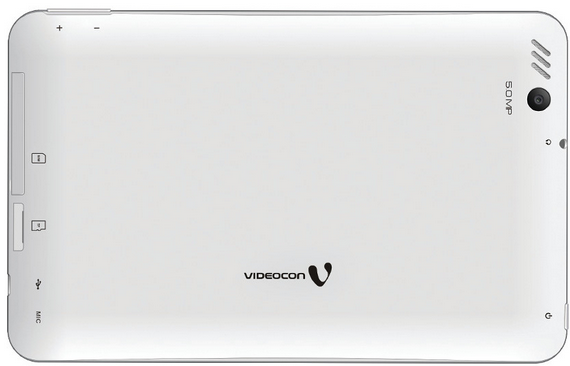 Videocon’s new tablet, Videocon VT85C has showed up on company’s official website and is expected to be available soon for purchase. This tablet features humble budget tablet specifications and will showcase a price tag in the same segment. This tablet is powered by 1.2 GHz dual core processor based on Cortex A9 ARM architecture which will be faster, but less energy efficient that popular Cortex A7 chipsets more common in tablets these days. The RAM capacity is 1 GB (DDR3) and internal storage is 4 GB. You can further extend the storage to 32 GB using a microSD card. The display of this phone is 7 inches in size similar to the predecessor Videocon VT75C, but the resolution has been revamped to better 1024 x 600 resolution which is now standard in budget tablets. The Rear camera has a 5 MP sensor which makes it stand apart from the crowd. A front VGA camera is also present in the tablet for video calling. 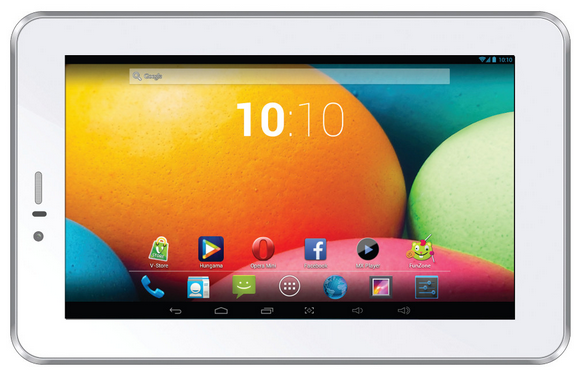 The tablet runs on Android 4.2 jelly bean operating system and carries a SIM card slot for calling (Via ear piece) and 3G. The battery capacity is 3000 mAh and will give you around 4 to 5 hours of onscreen time. This tablet is 10 mm thick and apart from 3G, provides with WiFi, Bluetooth, GPS/AGPS connectivity. This will be a good tablet for basic usage only and weather it will be a good buy or not depends on its pricing details. It will compete with tablets like Swipe Halo Value+, Funbook Mini P410, Mercury mTab Star and iBall Slide 7334i.